Sanitary Sewer Systems | Northern VA | W.C. Spratt, Inc.
W.C. Spratt is equipped to properly install sanitary systems in the Fredericksburg, Stafford, and Spotsy area. 2” diameter force mains to 48” gravity transmission interceptors varying in scope from house services up to over 5 mile (34,000 feet) emergency complete replacement including pump arounds, dozens of structures and complete restoration. 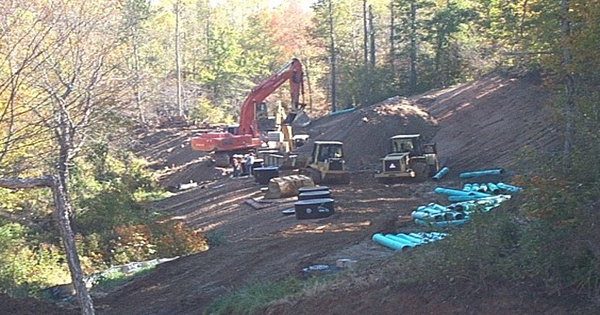 Major pump station including odor control and flow monitoring in ground conditions ranging from rock to running sand. Many miles of gravity sewer in historic and congested conditions successfully using design build guaranteed cost methods.